So, guys and gals, what do you think? 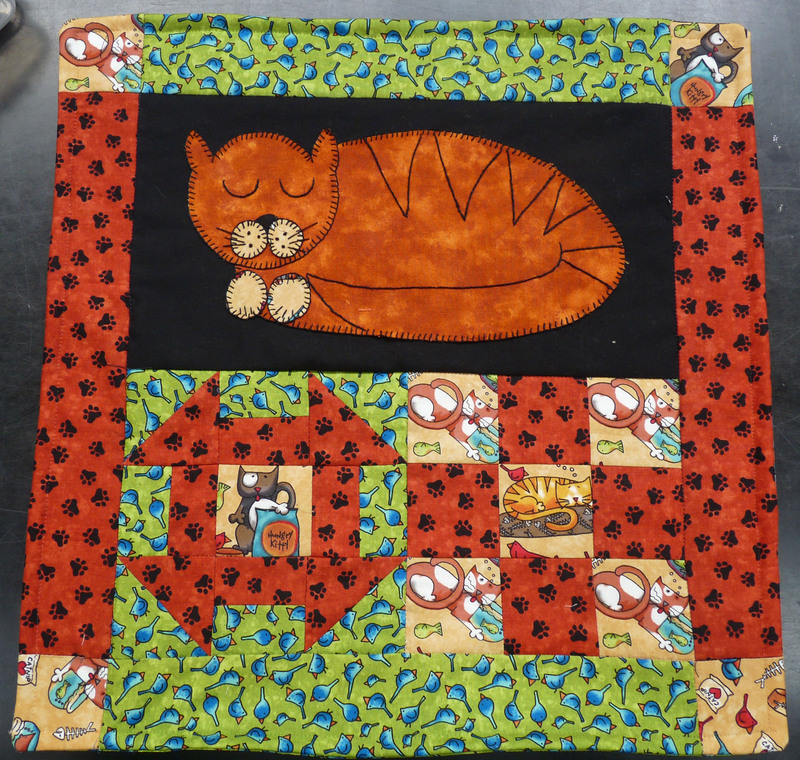 We have some really cool cat fabric in store which has been sat on the shelf for a while, so we decided to do something with it and have now created this cushion kit. So back to the project. We have 20 fabric packs priced at £20 each, if you fancy having one either drop me a line here on the blog, ring the shop on 01729 824708 or we will see you next weekend at Malvern show. We will be there again this spring, our pitch is the one right by the front door so you can’t fail to see us. Gillian has been very busy folding fat quarters in preparation for the show and we have heaps of them priced at just £1.50 each. All our fabric is £6 a metre for best quality craft cotton, none of that cotton poplin rubbish which wears and goes threadbare too easily on the seams; so ideal if you need backings. I have topped up my stock and have loads of civil war type prints as well as lovely fresh and bright prints superb for summer. If you are going to the show please stop by to say hello. Oh my goodness! take a look at this guys blog, I am definitely going to be following this one. Our Gaz showed me this You Tube clip of Chris Hadfield’s version of David Bowie’s Space Oddity. Honestly take a look the footage is fantastic. ‘Think this is me avoiding what I should be doing. I’m setting off to Malvern Quilt show on Wednesday to set up the stand and I have sooo much to do it is unreal. If you are going to be there my pitch is right by the front door and I will be having another give away open only to my blog community. Keep checking back here to find out how you can enter.